Water bromeliads where the leaves meet together and form what looks like a cup|! !| called a central tank. Be sure to flush it regularly to prevent water stagnation. 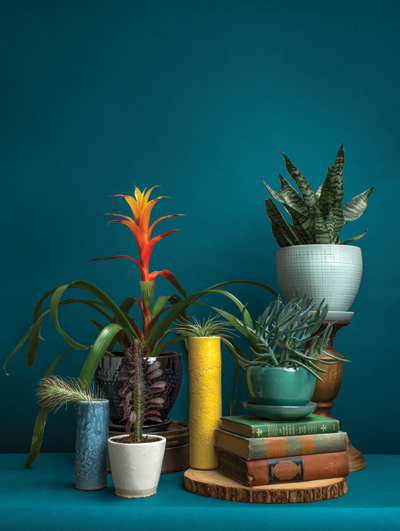 Experiment with color this season by brightening your space with low-maintenance potted plants. Whether your green thumb takes you indoors or out these pots will make sure everything’s coming up roses. 1826 W. Pinhook Rd. Lafayette. 1800 Kaliste Saloom Rd., Lafayette.